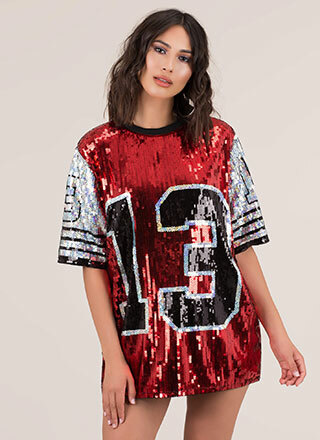 If you're a fan of the athleisure look, you'll definitely wanna sport this dress. Stretchy, sleeveless, sporty sweatshirt dress features a drawstring hood, kangaroo pockets, deep-cut armholes, a rounded high-low hem, and striped panels down the sides. No closures are included. Length: High: 31.5", Low: 34"